﻿﻿ PUBG Savage Map Returns Again Tonight For Some Players on Readyforgame.com - Free Online Games! PlayerUnknown's Battlegrounds' smaller tropical-themed map, Codename: Savage, is returning to the Closed Experimental Server very soon. The map will be available for a second round of testing beginning tonight, April 16, giving select PC players another opportunity to try it out before it officially arrives to the game. The test begins at 6 PM PT / 9 PM ET (2 AM BST on March 17) and runs until the same time on Wednesday, April 18. As before, only players who have received a beta key will have access to the Closed Experimental Server. If you received one during the first round of testing, you're already set to jump in again. Everyone else can sign up for a beta key through PUBG Corp.'s registration site; however, not everyone who registers will be guaranteed entry to the test. 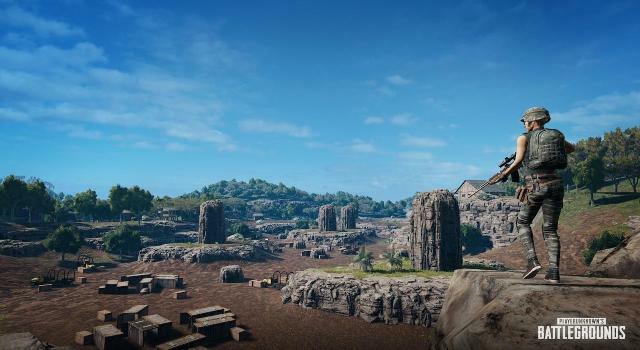 This time around, PUBG Corp. has made a number of changes to the map. Most noticeably, it is denser than it was before, with three new areas added to the middle and southeastern portions of the map. PUBG Corp. has also made a variety of other changes, including increasing how frequently grenades spawn and making boats less common around the map. Perhaps the biggest change to Codename: Savage is to the redzone and bluezone. The redzone will now be smaller and last for less time; the bluezone, on the other hand, will now vary depending on how many players are left thanks to a new feature that PUBG Corp. says "enables [it] to calculate and adjust its waiting time based on the number of players left alive." PUBG Corp. says Codename: Savage "won't be ready for a full release for a few more months," making this a rare chance to try it out while it's still in development. If you still don't have a beta key for the Closed Experimental Server, here's how to get access. You can see our impressions of the map in the video above.